On June 27, 2018, Coinbase CEO Brian Armstrong announced his new cryptocurrency charity fund, GiveCrypto. Armstrong established the philanthropic venture to financially empower people with direct cryptocurrency distributions. Armstrong and partner Rose Broome, previously co-founder and CEO of HandUp.org, have already raised $1 million from prominent cryptocurrency community members. They plan to raise $10 million by the end of 2018 and $1 billion over a two-year time frame. The nonprofit’s mission is to give 100 percent of its cryptocurrency contributions to impoverished people, an altruistic goal that simultaneously drives cryptocurrency’s real-world utility. Exchange cryptocurrency for their local currency. Buy goods and services using cryptocurrency. Hold cryptocurrency long term to (hopefully) increase their wealth. 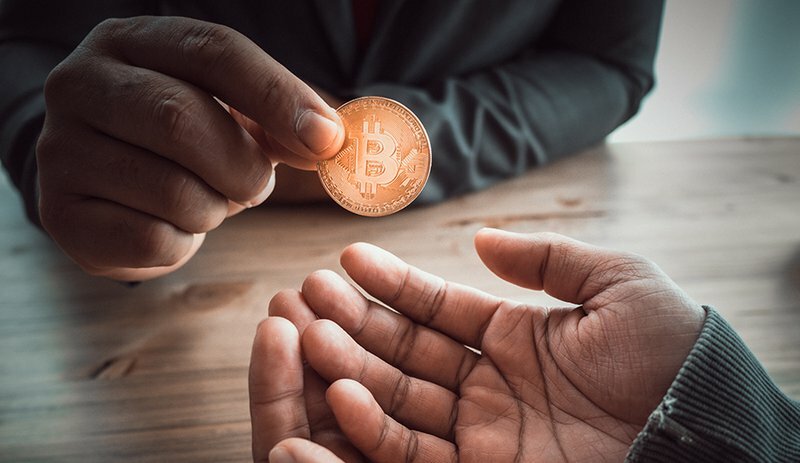 “Given the enormous wealth creation from cryptocurrency, and the future potential upside, I believe there is a rare opportunity to create a large non-profit fund,” Armstrong explains on the GiveCrypto website. With thousands of newly-minted members of the crypto rich, GiveCrypto sees this new, abundant wealth as ripe with fundraising opportunity. Indeed, the fund has already raised capital from some of the industry’s most successful. Donors include Armstrong himself, Chris Larsen, Zcash founder Zooko Wilcox, bitcoin miner Bitmain, BitcoinCash’s Roger Ver, Coinbase founder Fred Ehrsam and a16z crypto General Partner Kathryn Haun, among others. Cryptocurrency’s underlying utility as a low-fee remittance option also makes it easy to transfer funds across borders. What’s more, the charitable fund can deposit contributions directly into its beneficiary’s mobile and web wallets. This is especially important for the unbanked populations that the charity will most benefit as GiveCrypto won’t have to route or disseminate funds through traditional financial institutions. As reported by Fortune, Armstrong notes that most challenges for GiveCrypto are on the distribution side –– i.e., figuring out who to fund and ensuring that corrupt governments and opportunistic actors don’t take a cut of the donations. The fund plans to test various distribution strategies over the coming years, traveling first to selected regions for in-person handouts. In the future, the fund plans to partner with localized nonprofit distribution partners, and it is considering building a decentralized application to create a trust network for distributions. GiveCrypto’s ethos puts it in the company of other crypto-backed charity efforts, including Ripple’s $29 million gift to classrooms around the U.S. and the millions the Pineapple Fund anonymously donated to various organizations. Currently, the fund accepts tax-deductible donations in BTC, BCH, ETH, LTC, XRP and ZEC. Question. Is IOTA "Dumb" enough for the unwashed masses?